Pessimist Incarnate: Its official the Popes job is up for grabs! 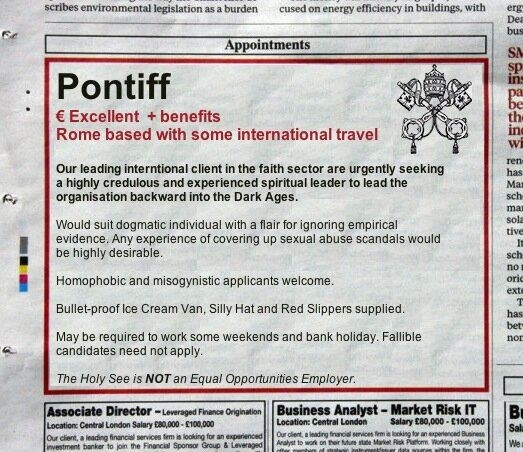 Its official the Popes job is up for grabs! Oscar's tragedy gives rise to jokes! Bangkok Thailand - How did that name happen?